Set in 45 acres of lush subtropical rainforest this multi award winning Byron Resort offers luxury accommodation at its best. Choose from any one of 92 luxurious, air conditioned one bedroom suites. Each has been designed to capture the essence of the surrounding subtropical rainforest. Careful planning has maximised the space of the suites that feature contemporary galley kitchens with a dining setting for four and two enclosed balconies. 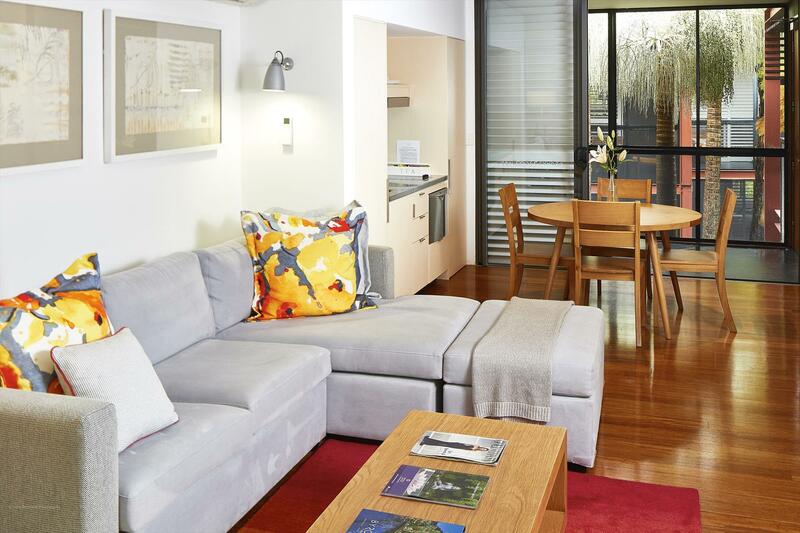 The entertainment area includes plasma screen television, Foxtel and high speed internet. Luxurious bathrooms feature a freestanding bath with separate shower and timber doors with frosted inlay, to allow natural light. California king beds ensure dreamtime really does exist, while sliding screens and flexible furniture arrangements provide alternate sleeping options. IDD and ISD telephone, clock radio, hairdryer, iron and board complete the inclusions and modern furniture provides a tasteful finish. 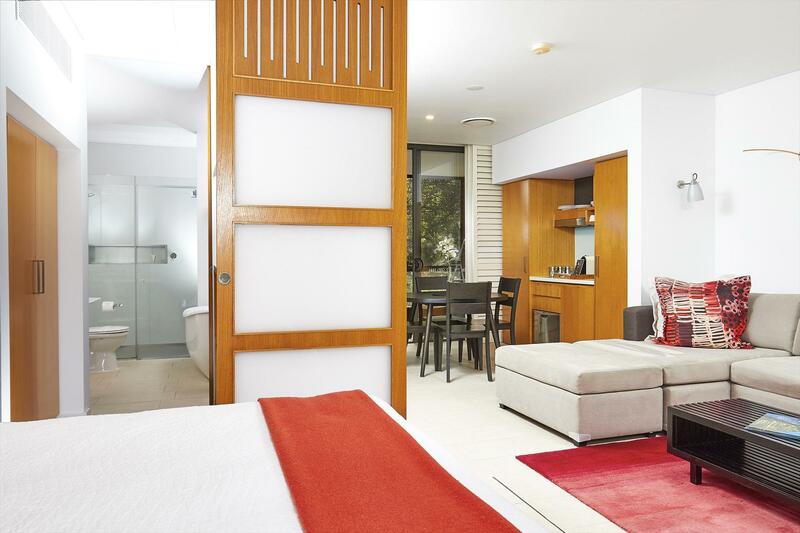 Whether visiting for a holiday or conference, The Byron Resort and Spa offers Byron Bay accommodation at its best. Check in time is 3pm and checkout 11am. Contempory designed one bedroom suites offer galley kitchen, sofa lounge, plasma TV, DVD, extra LCD screen TV, California king bed, spa bath, separate shower, two enclosed balconies, movielink and personally controlled air-conditioning. These rooms are a five minutes stroll from the central resort facilities. The Byron at Byron Resort offers full conference facilities and packages with everything you need for your product launch, meeting or corporate function. The conference facilities measure 216 square metres and can be split into three individual rooms. The conference room opens onto large verandahs overlooking the sub tropical rainforest. The magnificent stretch of Tallow Beach is situated a short ten minute drive south of Byron Bay town centre. An easy walk through bushland finds you on a 6km stretch of pristine beach running southward from the Byron Lighthouse. Here you can enjoy the solitude of uncrowded expanses of white sand and rolling waves….wonderful for long leisurely walks. 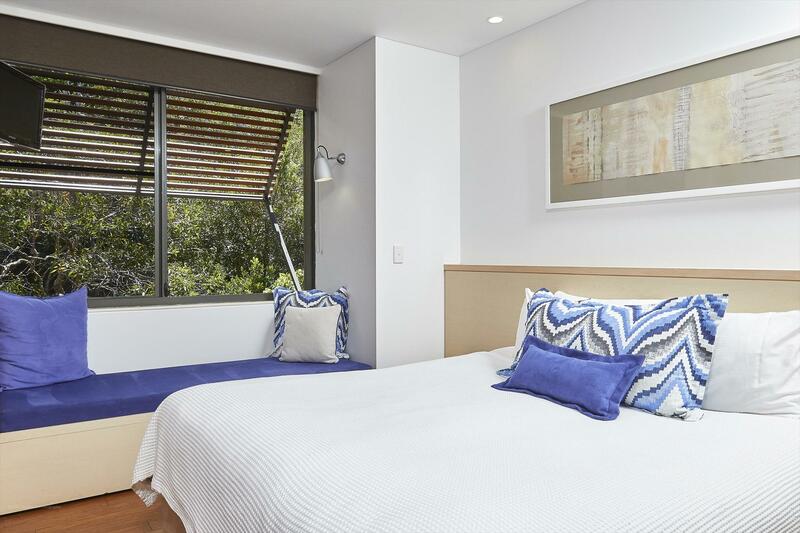 The Byron Resort is located 10 minutes walk to Tallow Beach and 5 minutes drive to Byron town centre. Pre-paid Special Rate - requires full payment at time of booking. Cancellations, transfers and refunds are not allowed. King Bed plus L-shape day lounge. Full buffet breakfast extra charge. Cot extra $20 per night. Children extra $40 per night. King Bed plus L-shape day lounge. Pre-paid Special Rate - requires full payment at time of booking. Cancellations, transfers and refunds are not allowed. 1 x King Bed, 1 x Sofa Bed, 1 x Spa Bath.